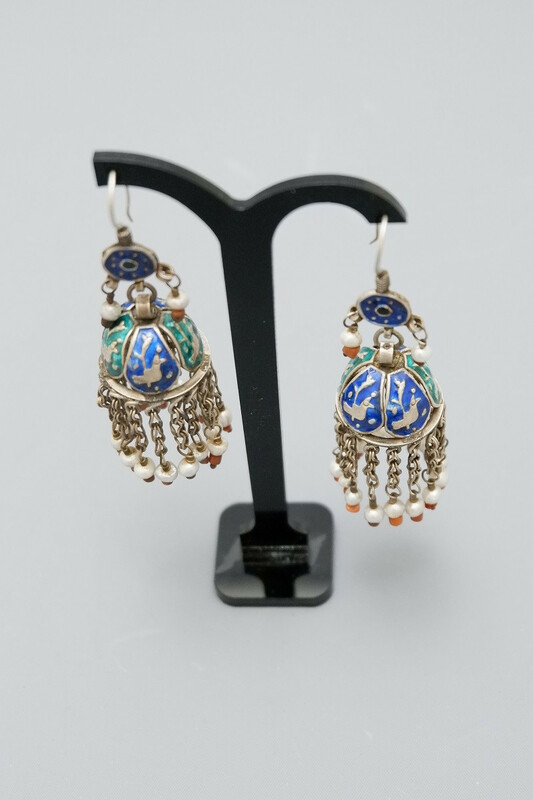 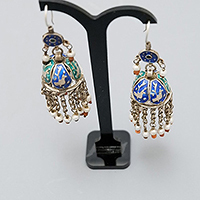 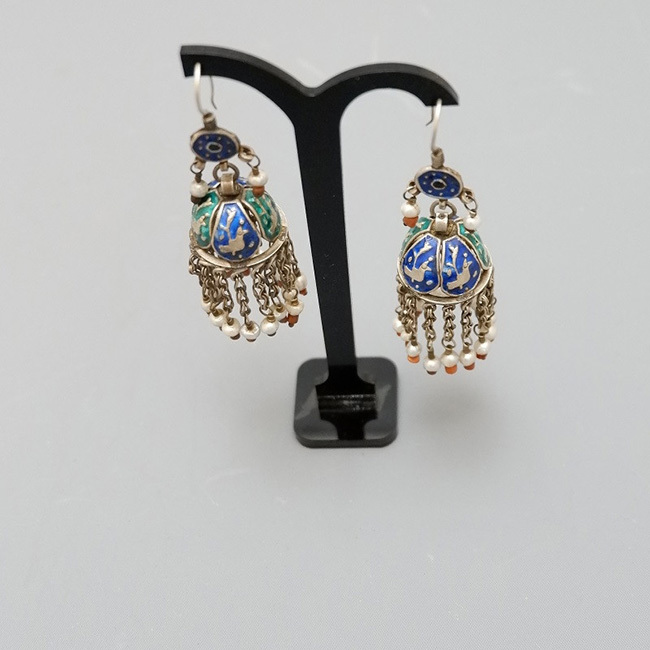 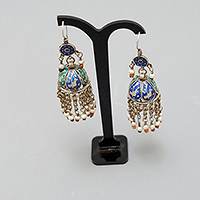 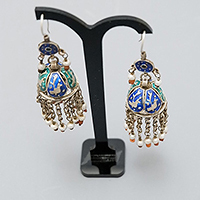 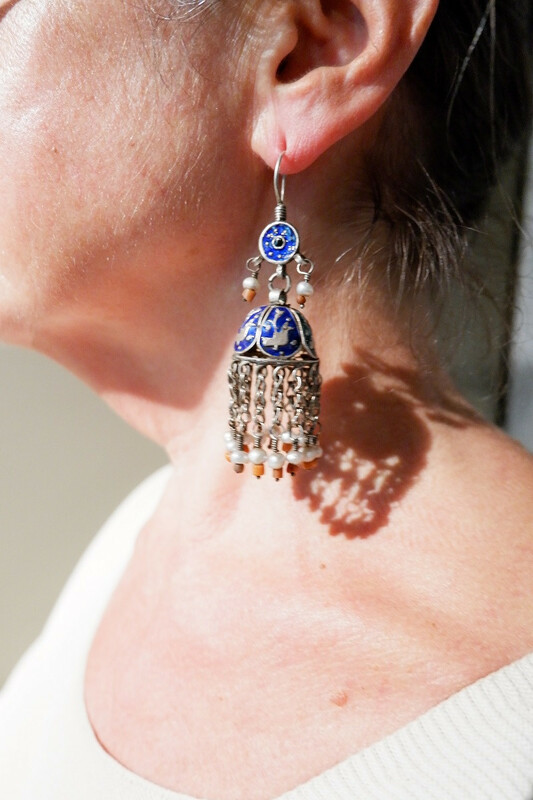 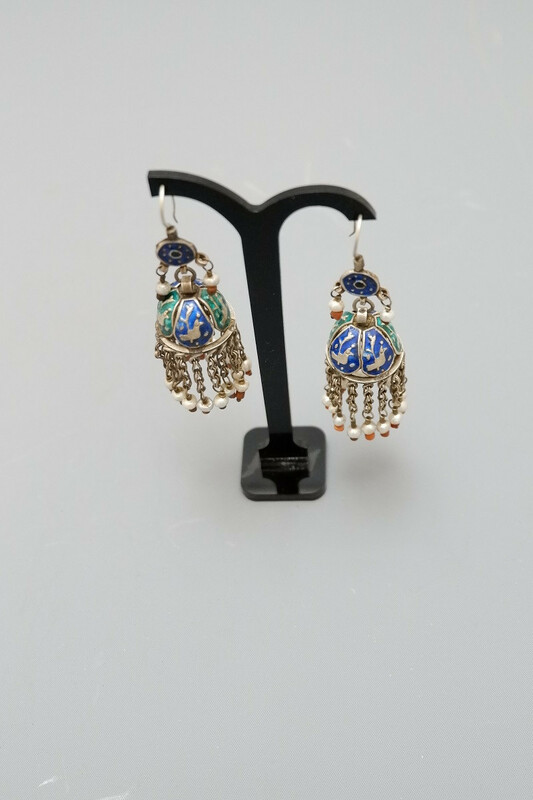 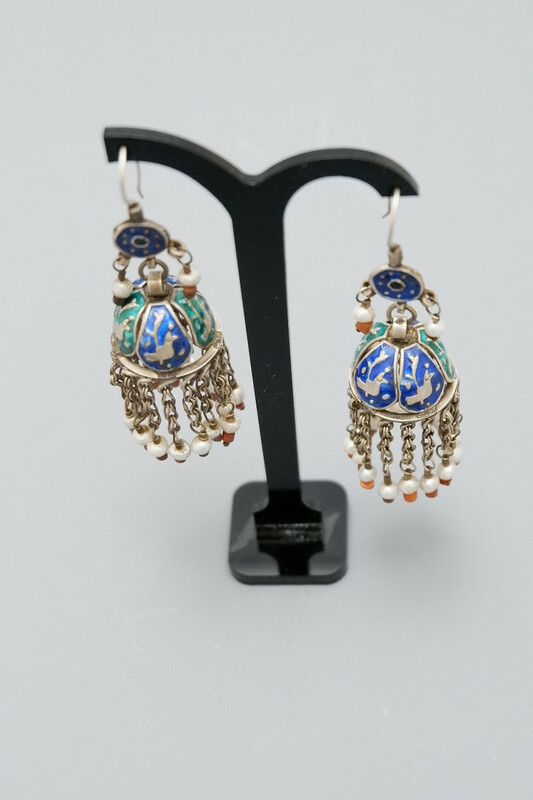 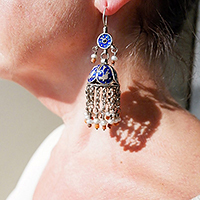 A splendid old (half 20th century) pair of earrings in silver and enamel "Multan" in Pakistan. 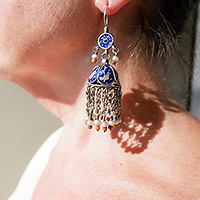 These earrings are also ornated with pendants with small corals and baroque pearls. 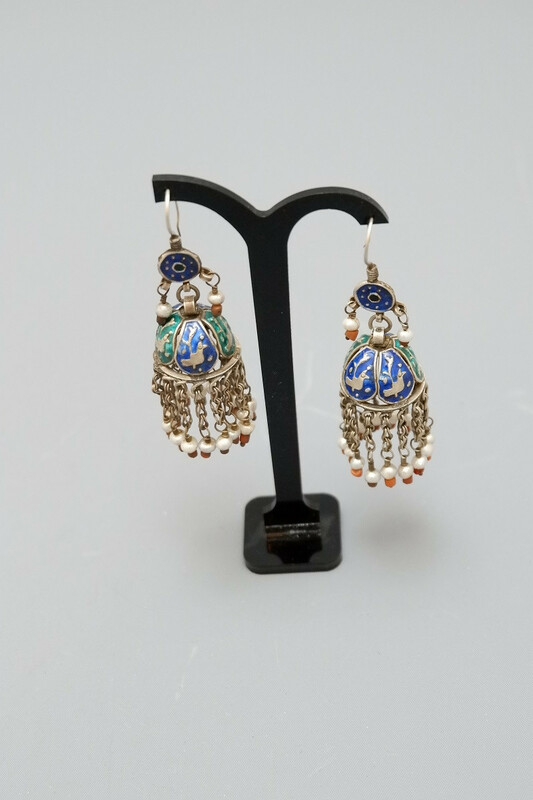 These collector pieces are in perfect state and wearable by all women ...Multan is an area, a town and a typical style !